Dr. Menahem Anderman founded Advanced Automotive Batteries (AAB) in 2000 to provide up-to-date information on the most pivotal issues that impact the technology and market of advanced vehicles and the batteries that will power them. AAB offered single and multi-client reports, and successfully launched the international Advanced Automotive Battery Conference (AABC). In 2010, to keep pace with the rapidly developing technology and market, AAB expanded to two conferences annually with the addition of events in Europe and Asia. For 15 years, the AABC events have been renowned for attracting professionals from the xEV world, and the three tiers of the battery supply chain. In June of 2015, Cambridge EnerTech, a division of Cambridge Innovation Institute, acquired AAB’s bi-annual conferences. 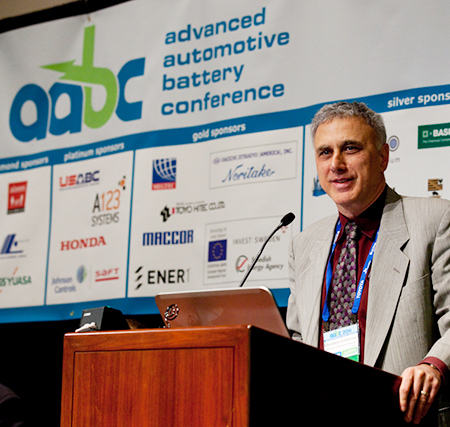 Phillips Kuhl, President of Cambridge Innovation Institute, stated, “We are delighted to be able to add these two very successful and focused conferences to our growing lineup of rechargeable battery events.” Dr. Anderman remains actively involved in program development for AABC and will be chairing sessions for the 2016 conferences. The 2016 European Advanced Automotive & Industrial Battery Conference (AABC Europe) will be held in Mainz, Germany, January 25-28. It will offer a four-day program that will examine the advances in energy storage technologies and the expanding market for advanced batteries, with a focus on the European perspective. 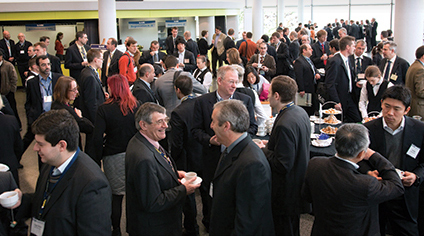 The 2016 Advanced Automotive & Stationary Battery Conference (AABC 2016), the premier international battery conference, will be held at the COBO Center in Detroit, June 13-17, 2016. Top energy storage technologists from leading car companies from the U.S., Asia, and Europe, as well as their international suppliers, will convene to discuss the advances in technology and market for advanced automotive batteries. For complete program details, please visit AdvancedAutoBat.com.